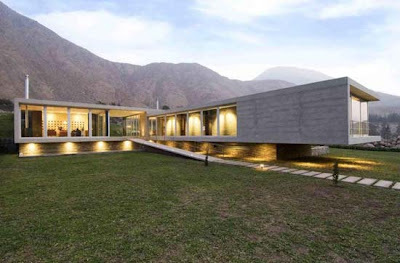 The courtyard entry articulates both volumes under one cover and provides a visual opening of the mountains surrounding the valley. In both volumes transparency is what dominates it. 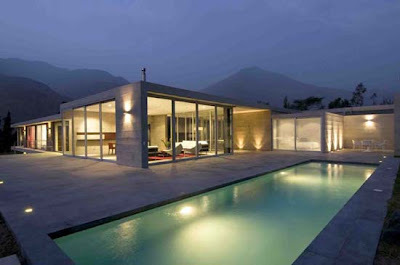 Each room has one side covered entirely in glass, so the landscape forms part of the interior space and expands it. The provision allows you to integrate space into several areas by sliding the screens. 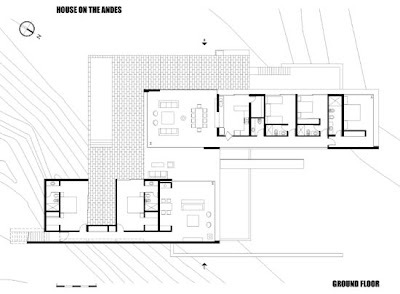 The volume at the front of the house contains the main spaces, kitchen and most of the bedrooms. The service part of the building is built on the slope below the ground. On the other volume we have the family room and the guest bedrooms. The house is set on the top of a sloping field. The program is organized in two parallel and horizontal outdated volumes, based on a simple geometry, where the interior is as important as the exterior. 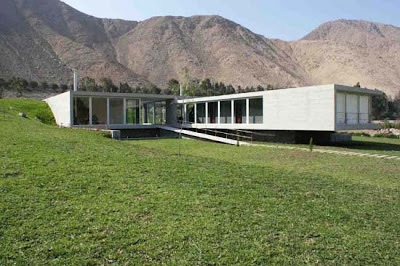 The Peruvian architect Juan Carlos Doblado just finished a new private villa housed in the foothills of the Andes. With two houses of concrete, one nestled in a gentle slope, the other door overhang. The surrounding landscape resembles uncannily the Saharan Atlas in the vicinity of Gafsa, which give ideas to our architects such Tunisian conterées. 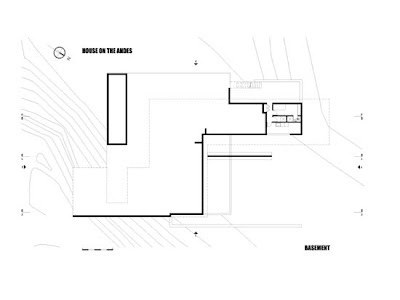 The villa built on one level is drawn in a simple geometry. 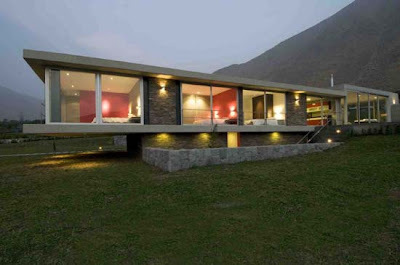 La Villa des Andes is fitted with glass panels from bottom to top, offering a unique perspective and drug clearances. Symbiosis between interior and exterior that has Doblado collat managed to produce a contemporary villa beautifully simple and solid. 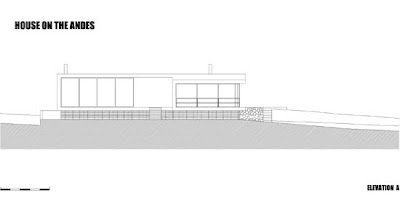 The house is situated atop a field on a slope. The program is organized in two volumes nested parallel and horizontal. 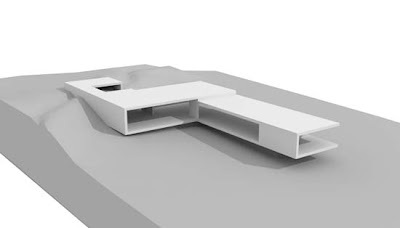 The overall composition is based on a simple geometry where the inside is as important as the exterior. The entrance to the court articulates two volumes under one cover, and provides a visual opening of the mountains surrounding the valley. In both volumes, transparency prevails. Each room has a fully glazed facade.